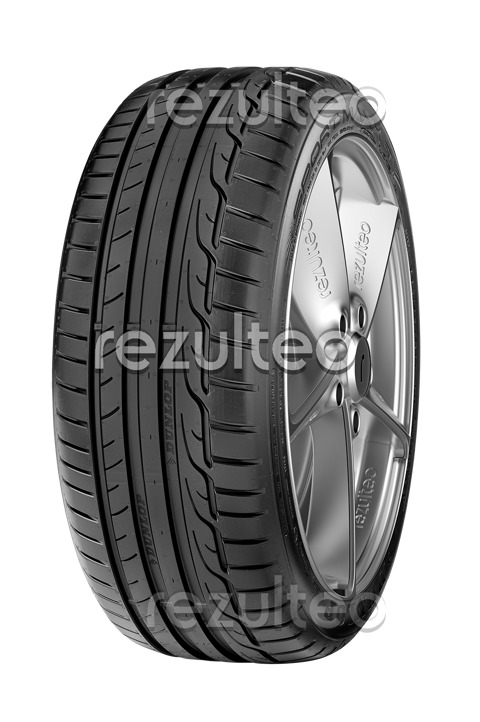 Summer tyre for sports cars, the eco-friendly Dunlop SportMaxx RT combines high performance with safety. Sporty. The motorsport derived compound and the increased contact area ensures outstanding grip. Massive outer shoulder blocks improve responsiveness and steering precision. Safety. The stiff compact tread blocks reduce braking distances, even at high speed. Wide central and lateral grooves provide effective water drainage. Environment. An improved aerodynamic sidewall design and reduced heat generation lowers the tyre’s rolling resistance.